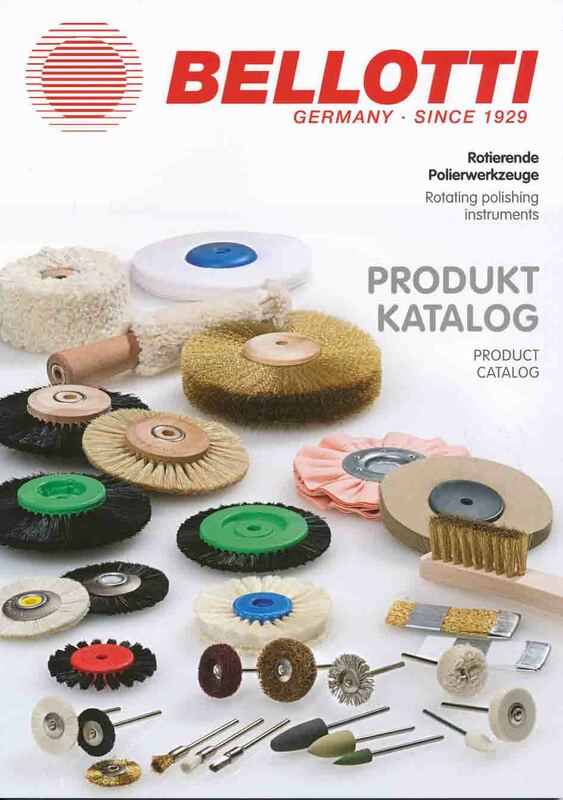 Head Brushes (round or cylindrical, 30 - 80 mm), predominantly with bristles or brass heads: these are suitable for deburring, polishing, cleaning (even of hollow barrels, for example) grinding, smoothing and structuring. Scotch-Brite-Brushes for polishing, finishing and satinizing of metals and non-ferrous metals. They consist of individual slats anchored parallel to the axis. Different hardnesses and dimensions. Fibre brushes with high heat resistant, hard and aggressive natural fibres that have optimum polishing characteristics. Polishing agent adheres very well to the rough fibre structure. Sisal discs (180/200 mm) are very hard and are ideally suitable for working rough surfaces and scratched components. They are used for pre-polishing, fine grinding, brushing and satinizing.